Why is someone who "grew up in Spanish Harlem, the fifth daughter of Puerto Rican immigrants" now teaching ASL? Ruth Murphy's path took her through the experience of interpreting for the Pope as well as political leaders. Read her story in New York's Times Herald-Record here. 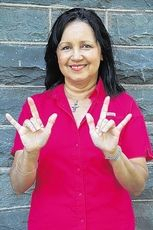 ASL classes are expanding in the Tampa Bay area. One student spent her summer pouring over the ASL books in preparation. "I tried Spanish online and that didn't work," she said. "I'm really excited about this. The class is really good. There's never a dull moment." The Tampa Bay Tribune takes a look at the growing number of schools offering classes here. A series of robberies around Gallaudet University this month in northeast Washington, DC during daytime has police asking for help in finding the suspects. Three of the crimes took place just two blocks from the school on the west side. 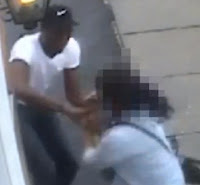 The suspects approach money couriers who are trying to make deposits from behind and grab their bags. Here's a surveillance video of one of the crimes that took place this past Friday afternoon. It's the largest collection of info on Polish sign language in the world. That's what the University of Warsaw says about its three year old effort. The Corpus research by the Section for Sign Linguistics will eventually be used to creat the first Polish sign language dictionary and a description of the language's grammar. Some 80 deaf signers from all over the country have already contributed more than 300 hours of recordings made with five cameras in a studio. One of the researchers tells the Polish Press Agency's Science and Scholarship in Poland site, "The corpus is a treasure trove of knowledge not only about the grammar of sign language, but also about the culture of the deaf. While collecting the linguistic data, we also collect information about the life of the deaf in early twenty-first century Poland. We often forget that the deaf are one of the largest linguistic minorities in Poland, with their own traditions, culture, poetry, theatre, civility, etc." Here's a sample of what the recordings look like. If you are looking for a graduate degree, but need some financial help, you might be able to get a boost from a joint effort by the University of Rochester and the Rochester Institute of Technology’s National Technical Institute for the Deaf. Their new program, fueled by a five-year federal grand of more than $2 million, is designed to assist students who are deaf and hard-of-hearing. Rochester Bridges is particularly meant for those wanting to get into fields like biomedical and behavioral science. The program will be overseen by the University of Rochester Clinical Translation Sciences Institute and RIT’s National Technical Institute for the Deaf’s Center on Access Technology which will involve mentors, workshops, skill-building workshops, and time in labs with hearing research faculty. Two students will take part in the program starting next month and more will be added each year. Read more from the University of Rochester here. A Kentucky priest is helping linguists create a sign language for the deaf in Cambodia. Louisville's Courier-Journal reports the country has no sign language, no deaf schools and no deaf organizations offering services. Here is a video report about what Charles Dittmeier is doing to make a difference (no captions but you can read the full story here). A member of the British parliament and the first blind cabinet minister, David Blunkett is criticizing subtitles that leave deaf people "scratching their heads." "He tells the BBC that UK Broadcasters talk a good deal about equality, but preaching is not enough", that they need a "little consideration and forethought" to achieve a "better television experience for everyone". Read the BBC story here and the Mirror's version here and the Daily Mail's version here. The football players for the New Mexico School for the Deaf will get a lot of playing time this season. That's because it's the smallest group ever--just six players. Sic is the "exact amount of players needed to field a 6-man football program." The team did well last year, earning 9 wins against only 2 losses. But that team had 13 players (see photo). Find out how coach Robert Huizar plans to cope with the thin ranks and keep his Roadrunners sharp in an article published in the The New Mexican here and see the team's schedule for this season here. 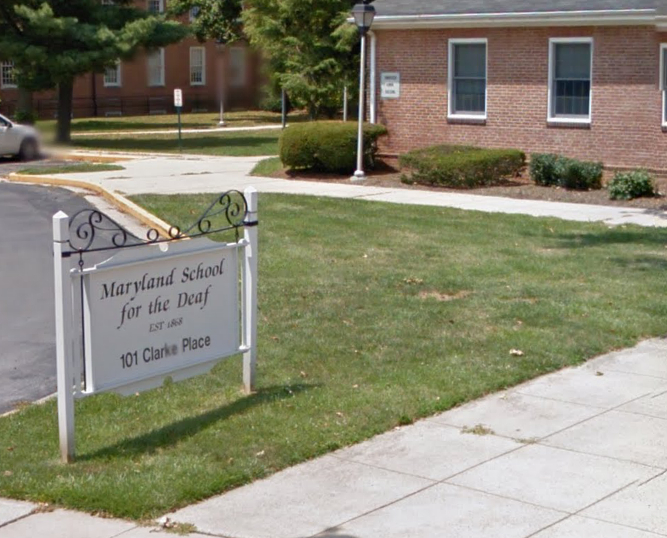 Things will be different this year at the Maryland School for the Deaf. The school started classes today and is going to start using "the Common Core Curriculum, a state-wide reading, writing and math standard." Find out more from a report from the Frederick News-Post here. 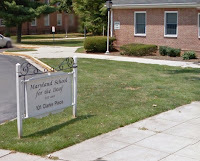 “The incident involved two students from our Model Secondary School for the Deaf during a school-sponsored trip to Annapolis. Anne Arundel County Police are conducting an investigation and we have no additional information we can share at this time." A number of new organizations have highlighted Gallaudet's new deaf-friendly dorm that is built on the principal of DeafSpace. Now, Wired Magazine offers it's techie view of the unique structure. 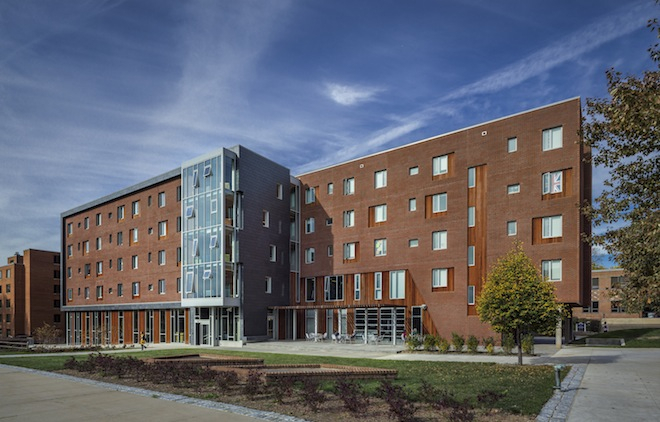 The "residence hall was designed specifically for deaf students by New York City-based LTL Architects. The 60,000-square-foot building is the first to fully employ architectural principles that cater to the communication and spatial needs of the hearing impaired." Read more of the Wired story here. 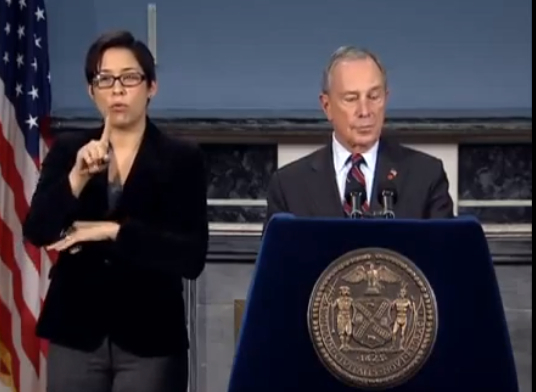 Lydia Callis became known as the interpreter for New York's mayor during Superstorm Sandy. She's now using that platform to advocate for the deaf in her state. Find out how she's doing it in a New York Times article here. A group from Michigan plan to bike 1200 miles in 25 days to Texas in order to raise funds for training deaf-blind sighted guides. The adventure begins next weekend in Kalamazoo. Watch the story (with sign interpretation) from WWMT-TV here. A University of New Mexico study suggests that reading difficulties among the deaf do not have to do with "the right way to teach reading when you can’t associate sounds with letters." Instead, researchers say, "We’re finding is that all this time we’ve been ignoring the fact that they’re actually learning a new language.” The study isn't new but it's the first time we've shared the research at DeafNewsToday.com. You can read the study here and this video report comes from the VOA (Voice of America) and captions are included. Four-year-old Mohammed Al Maqtari traveled from Yemen to Louisville, Kentucky to get a cochlear implant thanks to a doctor and gifts from strangers through social media. 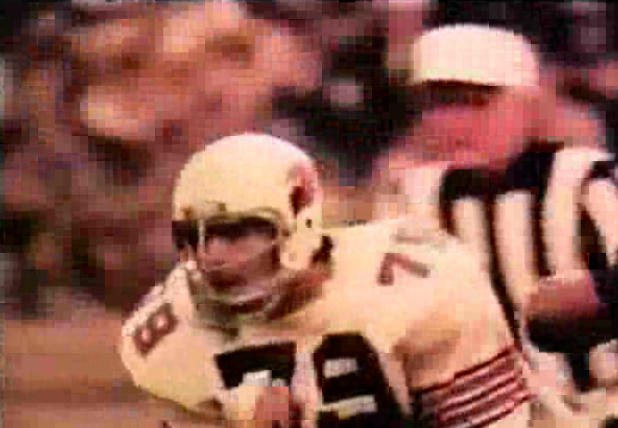 Kentucky's WHAS-TV has more on his story in this short video report (with captions). Born on this date (August 24) in 1965, she is 48 years old. 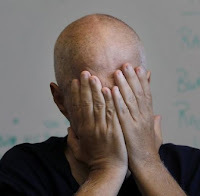 Deaf-Blind man used as example of "Patient Dumping"
"Timothy Martin is deaf, blind and homeless, and in April he stumbled off a one-way ride from a Reno mental hospital onto the streets of San Francisco. He found his way to a bar in the Castro neighborhood where, he says, he was thrown out and wound up crying on the sidewalk until an ambulance took him to San Francisco General Hospital." Read the full story at the San Francisco Chronicle here. 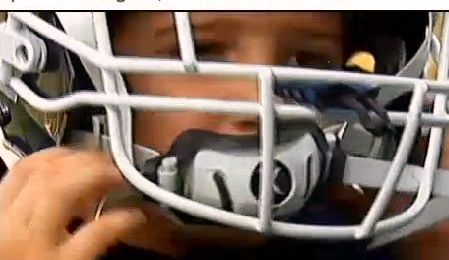 A Pop Warner team is raising money so one of its players can have an interpreter at every scrimmage and practice. They are holding a fundraiser tomorrow (Friday) in Franklin, Massachusetts. No captions, but you can read the story here. 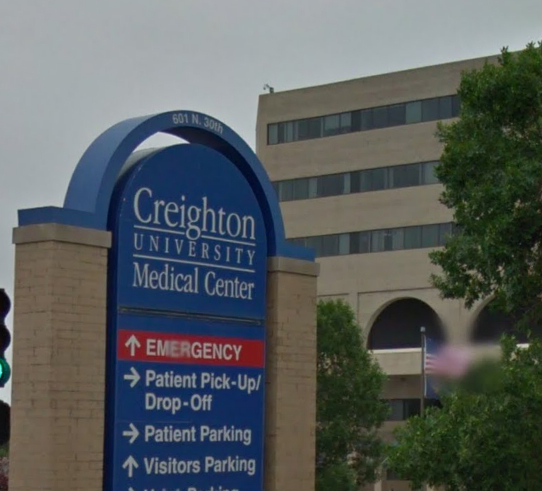 In January we told you here about a medical student's lawsuit against Creighton University for refusing to accommodate his learning needs--something that wasn't a problem at Seattle University when Michael Argenyi was an undergrad. 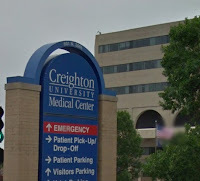 During his clinical work, Creighton here. The judge in the case has already told the school it cannot claim that honoring the request would be disruptive to the program or endanger patients. The Justice Dept. has filed a brief on Argenyi's behalf. His jury trial started yesterday in Omaha. The New York Times has more details about the case in a article published this week. You can read it here. A cross-country ride to raise awareness and funds for cochlear implants has taken Jacob Landis to Texas. Landis, as we told you back in April, is riding more than 10,000 miles to every major league ballpark. He made it to Rangers Ballpark in Arlington this past weekend--his 24th park. For more info about the ride, click here. Next stop is Houston for an Astros game on Friday. 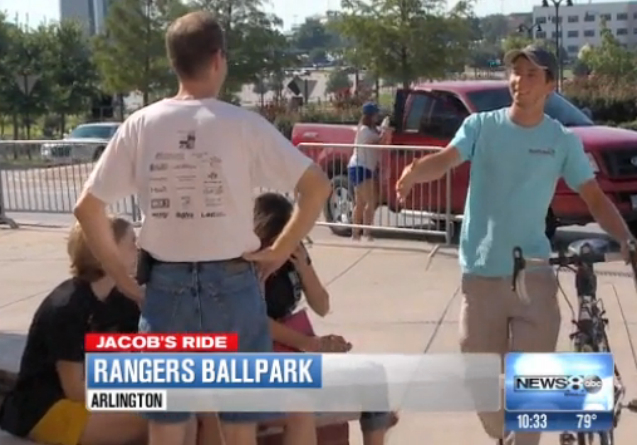 Below is a video report about about the ride from KVUE-TV(captions included). You've got a few more days to make a comment to the FCC's about captioning TV shows over the Internet. The Commission is moving its deadline to file comments from September 3 to November 4. The deadline to file reply comments is extended to December 4. Read more at the FCC here. 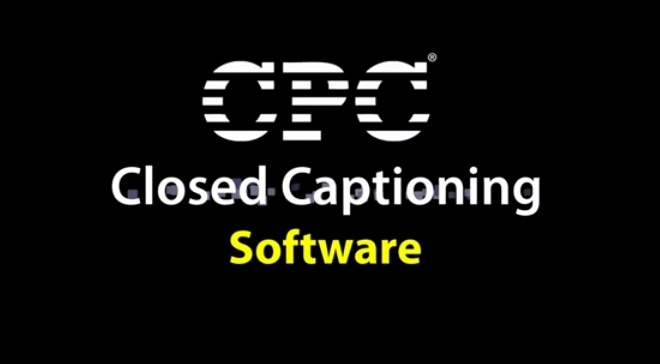 Telestream just bought captioning software company CPC. Telestream will combine its transcoding, workflow automation, live streaming and web publishing products with CPC's software, such as MacCaption and CaptionMaker for Windows. A Turner Broadcasting System representative is quoted in the Telestream new release about the deal as saying, "Closed Captioning services are no longer relegated just to the linear television broadcast. Our content is consumed on mobile, broadcast, and broadband, and we constantly strive to make our captioning services available and accessible on any medium our viewers choose. Turner both creates and welcomes innovation in this important segment of our viewership." CPC will move from its Rockville, Maryland location to Telestream’s offices in Sterling Virginia. 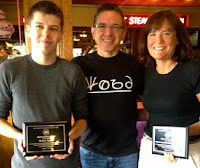 NAD (National Association of the Deaf) gave CPC its Accessibility Award last year. CPC was a sponsor of NAD's 51st Biennial conference last year in Louisville, Kentucky. Here's a video introduction to CPC from the company. 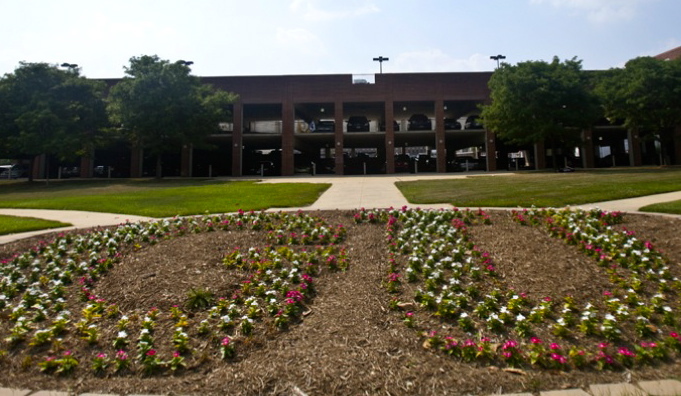 Gallaudet has one of the nation's best online math degree programs in the country. BestOnlineColleges.org has just released its annual list of best programs to "help parents and students make better decisions when choosing institutions of higher learning." Gallaudet University in Washington, DC made the list for its online math degree. 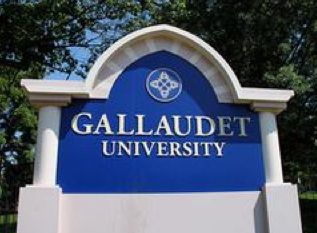 Read more here or find out what classes Gallaudet is offering online here. A proposed California law would create a program making certified medical interpreters available to any patient who does not speak English well. There are already state laws on the books requiring hospitals to "have interpreters available either on site, by telephone or through video monitors, according to the state Department of Managed Health Care, which oversees hospital interpreter systems" reports the LA Times. But advocacy groups say there is not enough supervision in the system, leaving many patients to use family members for interpreting. Read the bill here or more on the story in the LA Times here. A Missouri jury is siding with a deaf woman in her lawsuit against the Cox College of Nursing in Springfield. The school refused to allow Jessica Wells to complete her nursing classes because she is deaf and Wells claimed that was a violation of ADA law. Wells was removed from the program before starting her third semester. Cox College said the decision was based on safety issues. Cox won the original case, but an appeals court sided with Wells. The The jury awarded her $50,000. No word on whether the school will appeal the decision. Read more on the story--including a statement from the school at the News-Leader here. 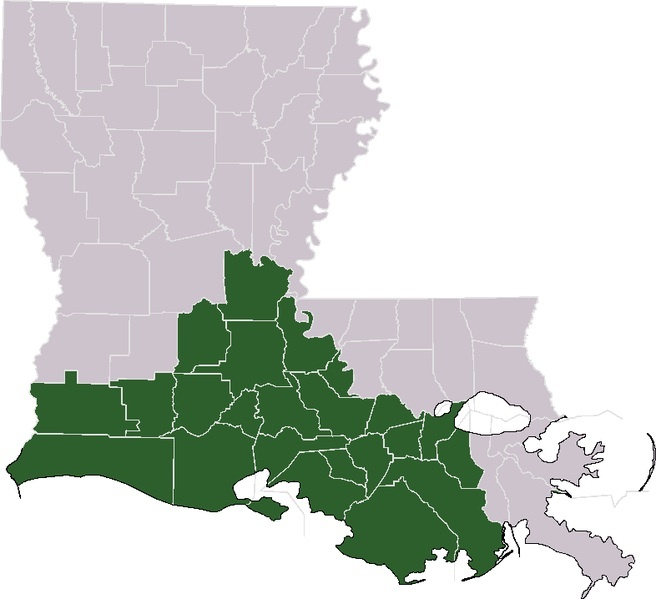 An area of southern Louisiana known as Acadiana has "the world's second-largest concentration of people who became deaf-blind due to Usher syndrome. Lynn Blanchard, executive director of the Affiliated Blind of Louisiana Training Center, said about 300 Louisiana people are deaf-blind because of that genetic condition." 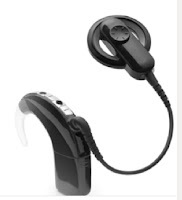 The Sacramento Bee has more "cajun country" and the devices used to help the deaf-blind there. Read the story here. A Canadian judge won't slow down a lawsuit again the Clerics of Saint Viator. The religious order is accused of sexually abusing hundreds of deaf children in Montreal. Lawyers for the order asked the judge to make the plaintiffs proved they had standing in court before proceeding. Read more details from The Sun. Members of the Texas Hearing Aid Association is suing Wal-Mart, accusing the retailer of selling hearing aids without a proper state license. 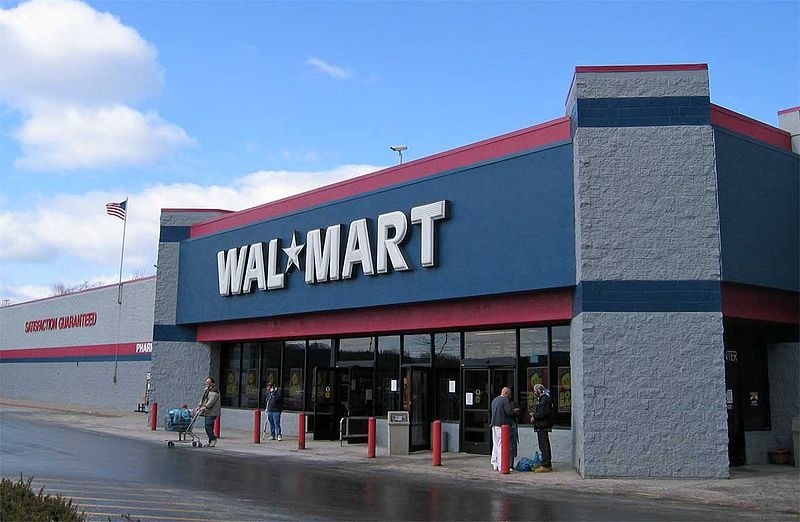 The lawyer for the group says, "Wal-Mart knew it was required under Texas state law to become licensed in order to dispense hearing aids in Texas stores, yet the corporation has failed to take all necessary steps to ensure their ability to do so," Attorney Bill Chamblee of the Dallas-based Chamblee, Ryan, Kershaw & Anderson says, "When an individual suspects they have hearing loss, a licensed hearing professional will be able to give a complete examination of the patient's auditory health in order to detect infections and other problems that aren't addressed by simply wearing a hearing aid." Wal-Mart hasn't responded to the suit yet. here. The National Theatre of the Deaf in New London, Connecticut will present a series of free shows at the Hygienic Art Park over the next few days. See Our Signs! will be performed this Saturday (Aug. 18), Tuesday (Aug. 20) and the following Saturday (Aug. 25). After than, the Little Theatre of the Deaf will go on our with See Our Signs! The performance begins with improvisation and ends with improvisation during which the actors take create pieces based on audience suggestions, such as an animal or a machine. For another of the improvisational segments, the actors teach signs to the audience. The heart of the show deals with tangrams, in which seven shapes are assembled to form other shapes. The tangram puzzles began in ancient China. Inspired by those shapes, the NTD group creates stories. Find out more here. Someone terrified the parents of a deaf child in Texas by hacking into the child's baby monitor and cursing at her. KTRK-TV has a video report posted below. No captions, but you can read more on the story here. 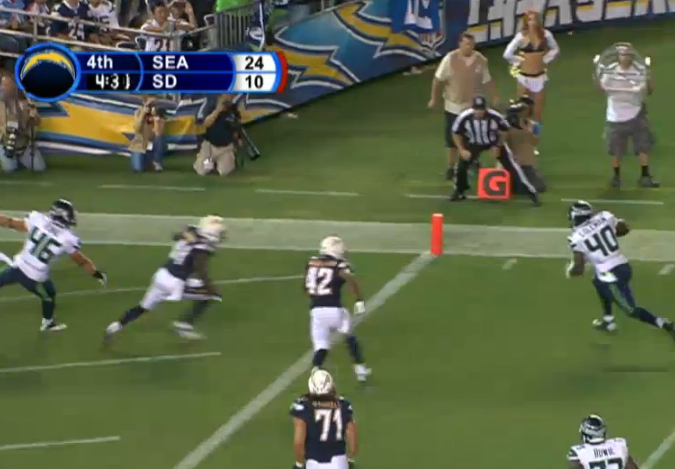 Seattle Seahawks beat the San Diego Chargers by a score of 31-10 last week to open the teams' preseason schedule. What many in the stands didn't know is that one of the players on the field, Seattle Seahawks running back Derrick Coleman, is deaf. In the fourth quarter, he caught a pass from quarterback Tarvaris Jackson and made a 6-yard touchdown run. Watch the video here. Essentially deaf since age three, former UCLA running back Derrick Coleman has never used it as an excuse as he has tried to make it in the NFL. 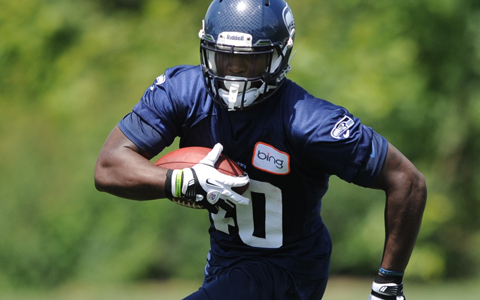 The Seattle Times reports that "Coleman, in fact, has been one of the team’s steadiest players throughout training camp, scoring a touchdown on a 6-yard pass in Seattle’s 31-10 win over the Chargers last Thursday and also leading the team with two tackles on special teams." Read more in the Seattle Times here. 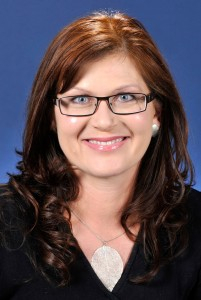 If Labor moves back into power in Australia, leaders of the political party say it would support laws to make sure there is better access to websites Senator Kate Lundy offered her support at the Australian Communications Consumer Action Network M-Enabling conference in Sydney. The ACCAN is calling for legislation that would mandate minimum standards for closed captions and audio description across broadcast platforms and the Internet. Lundy says she's willing to present the proposal to the Senate. Media Access Australia just released a report this week called Captioning on Video on Demand Services, It's Time for Australia to catch up. The conclusion: Australia's top commercial TV content providers are failing to provide captions for viewers. To find out more about what the Australian Communications Consumer Action Network click here. A former RIT professor tells her parent's story in the new book On the Beat of Truth: A Hearing Daughter’s Stories of Her Black Deaf Parents. 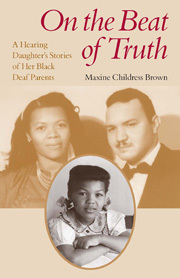 Maxine Childress Brown is the oldest daughter of deaf, working-class African-American parents. She marveled at how they raised a well-respected, middle-class family in the midst of segregation with the added challenge of being deaf. The 310 book is available through Gallaudet University Press here or Amazon here. An airline mistreated a deaf-blind Catholic priest during a flight this past weekend, according to the Deaf Federation for South Africa. The Queen of England recently gave 71-year-old Cyril Axelrod the Order of the British Empire, which you can read about here. He was the first deaf-blind person to receive the honor. But things were different on Saturday when Comair, a British Airways franchisee, refused to let Axelrod board a flight from Cape Town to Johannesburg because he was flying by himself. He was supposed to speak at a mass for the deaf, according to News24. Axelrod showed a medical card issued to him by British Airways, indicating he is able to fly alone--something he's done many times. The Comair staff wasn't interested in trying to communicate with him, according to News24. The Independent online reports that Axelrod even recited the safety instructions back to them through his interpreter, but to no avail. A Comair spokesman says the decision was a safety issue, and that the airline "requires customers who are deaf as well as blind to be escorted by a qualified person who can communicate with the customer in case of an emergency" because its flight crew is not trained to help deaf or deaf-blind customers. According to the airline, Axelrod should have bought a second ticket for an interpreter to travel with him. “I grew up in a deaf family with deaf parents, aunts and uncles and within a wider deaf community," says Deaf Solutions 3-BSL tutor Gary Taylor. "As a result, I saw first-hand the problems and barriers to life that my parents and other people had through hearing people not being able to sign." Taylor tells Mancunian Matters, "I also saw that people teaching were not giving the best to people, that hearing people were coming into the deaf community with really poor sign language skills and poor deaf awareness.” Read the full story about why he "follow(ed) his dreams.. to establish his own BSL company here. 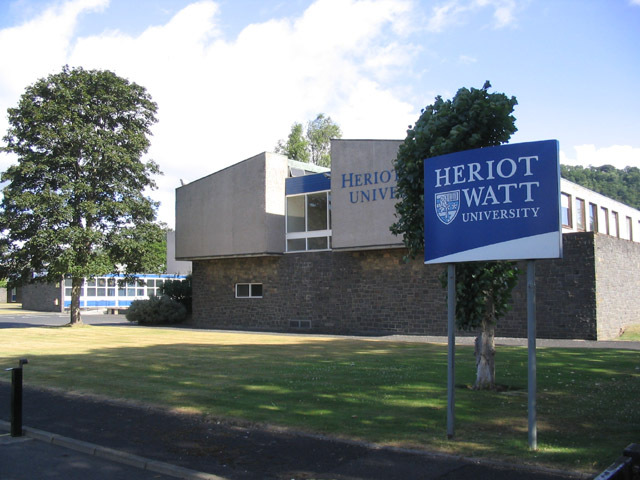 The BBC takes a look at the school that's offering Scotland's first degree in British Sign Language in an article here. Prof Graham Turner says, "Because there is a longstanding shortage of sign language interpreters in Scotland and the UK as a whole their job prospects are likely to be extremely good. The department trains interpreters who work in contexts like the Scottish Parliament and the United Nations.We're applying all of that experience to the context of British Sign Language and training to that standard. They should be a very desirable commodity in the wider world." 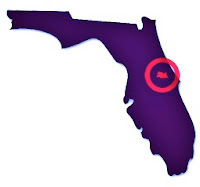 Someone is pranking a family with a deaf son in the Sanford, Florida area. Fake 911 calls are coming into county emergency services through video relay asking for help at the residence when no help is needed. Police are trying to track down the caller. Read more on the story from WFTV here. 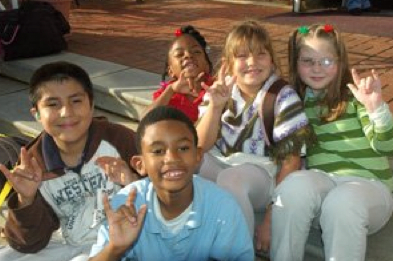 The School for the Deaf at the South Carolina School for the Deaf and the Blind in Spartanburg is in search of an American Sign Language teacher who would also be a Bilingual Coordinator for the school. If you would like more information or know someone who might be interested, contact the Principal, Jack Johnson, at JJJohnson@SCSDB.org. You'll find the position posted soon at the school's website here. Deaf Community Services Clubhouse is a service of San Diego county that serves deaf adults, including young adults in recovery or at risk of severe mental illness and/or substance abuse. 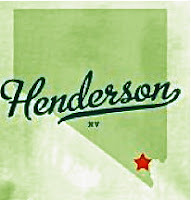 The Club has more than 40 members. The New York Times investigates charges against Starbucks detailed in a lawsuit filed last month in Manhattan. Deaf customers accuse the coffee shop of discrimination. 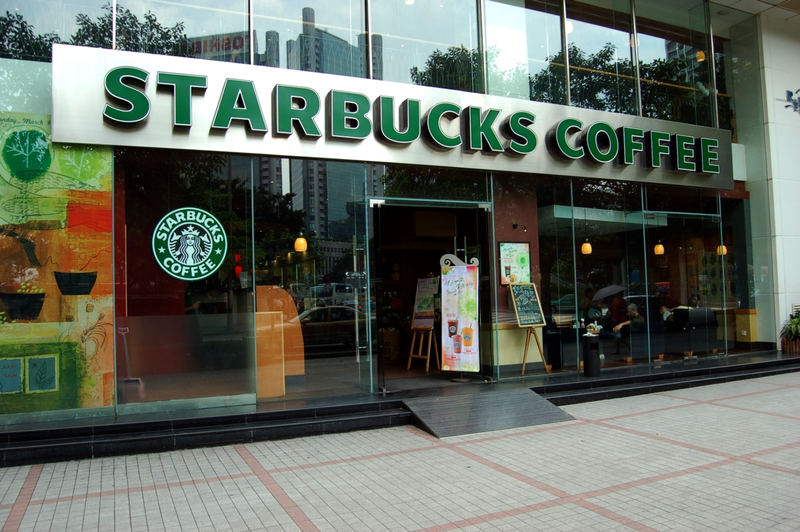 Find out what the complainants have to say--and how Starbucks is responding. Read the story here. A Montana group hosted a conference on ADA law yesterday. KTMF-TV has a video report. No captions, but you can read the story here. The Kansas Association of the Deaf Conference takes place in Olathe starting one week from today (August 15-17). For more information, click here. Gallaudet University is starting a PhD program in educational neuroscience this fall--the first school in the DC area to offer such a program. Educational Neuroscience focuses on understanding what in the brain makes it possible for us to learn, with a special focus on the development of young children in early schooling. Gallaudet President T. Alan Hurwitz says, "This program situates Gallaudet on the world's stage in the areas of visual learning, literacy, and cognitive development." You can learn more about the program here. An appeals court says two lawsuits against California school districts can move forward. We first told you about one of the cases last year in a post here, where administrators turned down requests for CART (Communication Access Realtime Translation) transcription services for two hard-of-hearing students in each districts. A lower court threw out the students' lawsuits, saying the decisions by the school districts were not a violation of ADA law, but this decision reinstates the suits. The lower court had ruled that since the schools met the standards of IDEA (Individuals with Disabilities Education Act), then they had also met the standards of ADA law. The appeals court rejected that reasoning. One of the students is in the Poway school system close to San Diego and the other is in the Tustin school district, close to Los Angeles. Both want a stenographer to provide real-time captioning of conversations. Although the Tustin student would no longer benefit from a ruling in her favor, she is proceeding in hopes of helping those who come after her. In 2007, another California school system lost a bid to avoid providing CART captioning. You can read about that case here and find out more about the new decision here. 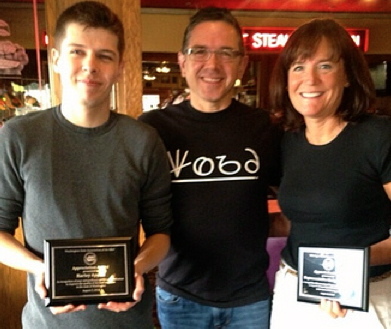 “This is truly amazing,” his mother Tammy said, as a tear fell from her eye, reports KTXL-TV. The Sacramento TV station has a video report. No captions but you can read part of the story here. You can read more about the case at the Justice Department's website here. 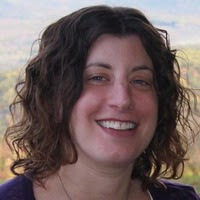 Deaf journalist Lisa A Goldstein explains why she turned down a change to take part in Google’s Glass Explorer program in a Mashable article here. An Iowa couple's lawsuit against Advanced Bionics is moving forward. Dennis and Melissa Eggerling claim the company's HiRes 90k cochlear implant damaged their daughter's hearing and caused other harm. The implant had a moisture problem--the same problem that led Advanced Bionics to recall the unit in 2004 (it was recalled again in 2010). The company blamed outside vendor AstroSeal for the defect, but the federal government decided Advanced Bionics did not have FDA approval to switch to AstroSeal as a parts supplier. 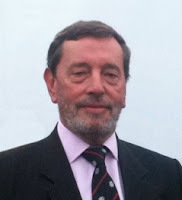 In the Eggerling case, Judge Mark Bennett did not sign off on everything the Eggerlings claimed, but Bennett allowed enough for the case to proceed. Advanced Bionics isn't commenting on the case. You can see the ruling here and more details about the case here. A Swiss company, Sonova Holding, owns the Valencia, California-based cochlear-implant maker. With about a fifth of the market, Advanced is number two in the field. These FCC rules are based on a law passed by the US Congress three years ago, called the 21st Century Communications and Video Accessibility Act of 2010 (CVAA). It directed the FCC to establish how and when video programming must be captioned. The rules describe captioning requirements for video owners, providers, and distributors, a compliance schedule, complaint rules; and requirements for manufacturers of devices that are used to view the video programming. On March 30, 2013, the FCC began requiring all live and near-live programming originating from broadcasters to be closed captioned. Broadcasters have 45 days after the original date of a TV broadcast to provide online captioning for materials produced between March 30, 2014 and March 30, 2015. Some broadcasters have complained it is taking more bandwidth and money than they initially expected. Rules for manufacturers do not kick in until the start of next year. On January 1, 2014 video devices are required to be able to process the closed captioning (DSLRs are except from this rule). In June, an FCC rules update called the Order on Reconsideration and Further Notice of Proposed Rulemaking clarified that this deadline applies to the manufacture of the devices and not to their "shipment or sale” dates. The biggest problem for online video providers is that there is not a single standard for captioning like as there is for broadcast TV (every TV station transmits what's called the ATSC spec and every consumer TV is designed to pick it up). With web video, there are several delivery methods (Flash, HTML5, Silverlight and others) and there are several kinds of playback devices. For captioning to work right, everything must be lined up and working together. New York's MoMA will host its first major exhibition of sound art beginning this Saturday (Aug 10). The work of deaf artist Christine Sun Kim will be featured as part of Museum of Modern Art's ‘Soundings: A Contemporary Score’ exhibition. A Pennsylvania man is going to jail for making fraudulent claims about sign language interpreting services to the New York City Department of Education. Nelson Ruiz pled guilty back in December and yesterday he got his sentence--57 months in federal prison. Prosecutors say Ruiz billed the city for sign language services totaling more than $2 million dollars between 2008 and 2012. On the fake bills, he forged the names of parents and employees of the Department of Education--including one who was dead. He claimed his six companies provided interpreting services to 11 special-needs children in public schools. But the services weren't provided--or needed. Besides the time behind bars, Ruiz was ordered to pay all the money back. More than a dozen students from the Missouri School for the Deaf had to be taken to a hospital yesterday for minor injuries after the bus they were riding in overturned on Interstate 70 near Danville, Missouri. That's less than 100 miles west of St. Louis. Eight interpreters were called into the hospital to help with the emergency. The group was headed back to their homes following the end of the summer term at the school. The bus ran a stop sign at the top of an interstate exit ramp, overturning on an embankment because of excessive speed. There were three adults on board, including the driver. Here's a video report from KOMU-TV (no captions). Melanie Jewett was the first athlete to win a medal for Great Britain in this year's Deaflympics. She took the bronze in the marathon, telling a UK paper, "The conditions were crazy - 40 degree heat, which resulted in three runners who could not finish the race and needing medical assistance... I’m so proud to represent my country. Being deaf has given me the opportunity to represent my country and that’s something I thoroughly enjoy doing. 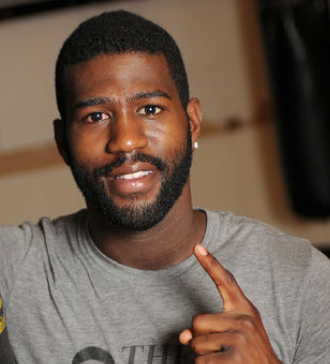 To be involved with Team GB is another reason I feel so honoured and proud to be involved." Read more here. Last month we told you about researchers in China are using Microsoft Kinect to live-translate Chinese sign language into text in a post here. You might know Kincect from its association with the Xbox 360 video game console. But researchers are finding lots of uses for the device that was not originally conceived. We also posted a video showing it in use. Here's another video from the researchers. We told you yesterday about a lawsuit against a New England theater chain over problems with its captioning--which you can read here. 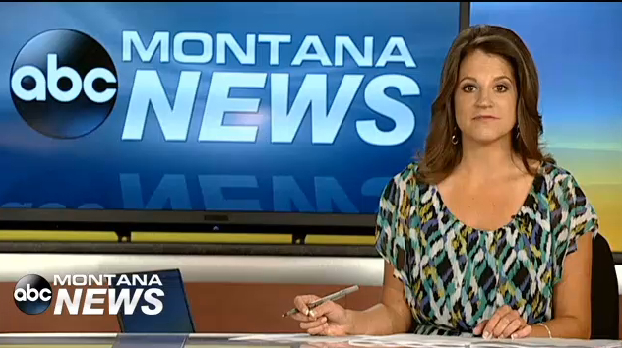 WVIT-TV has a video report on the suit, which we've posted below but there's no captioning. A deaf school violated the ADA rights of one of its teachers, according to a lawsuit. Joanne Webb-Barnum is suing the Pennsylvania School for the Deaf for denying her request for special accommodations due to a medical conditions. Webb-Barnum worked as a teacher in the school for nearly seven years before being let go this year. She had taken medical leave in February related to her disabilities. The suit also claims she did not get the support and training needed to deal with some of pre-kindergarten students with behavioral issues. Instead, she was reassigned as a teacher's assistant when problems developed. The school has not yet responded to the suit.